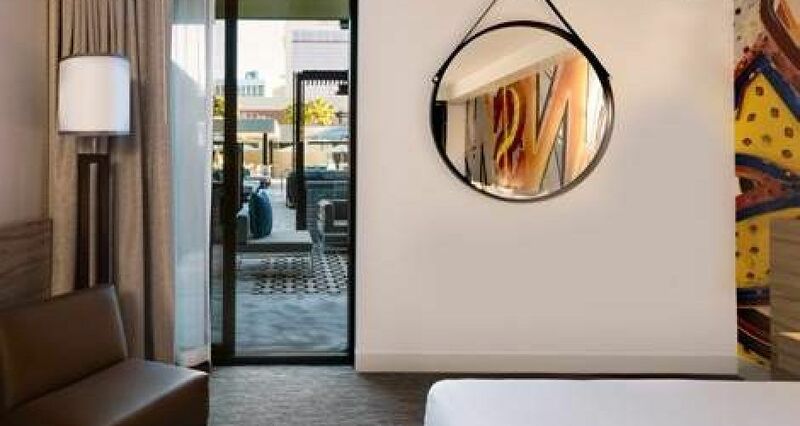 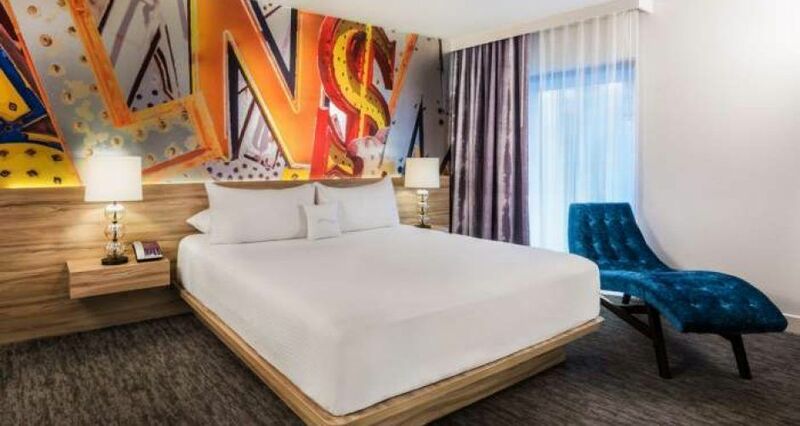 It’s like stepping into an art gallery with eclectic wall art and unique furnishings including a chaise that demands to be in your next profile photo! 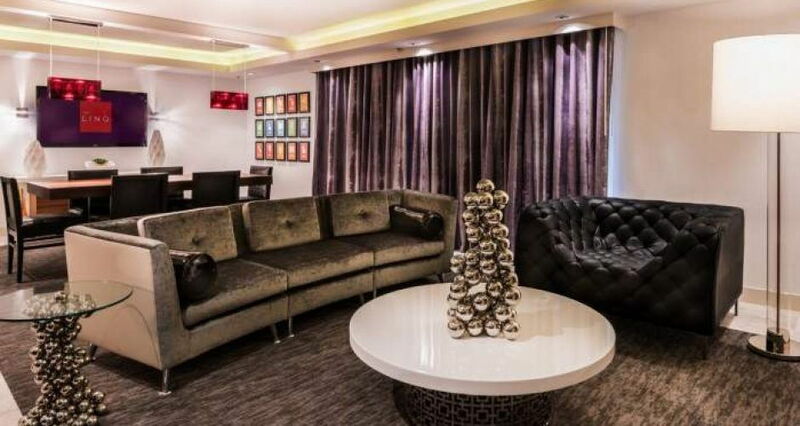 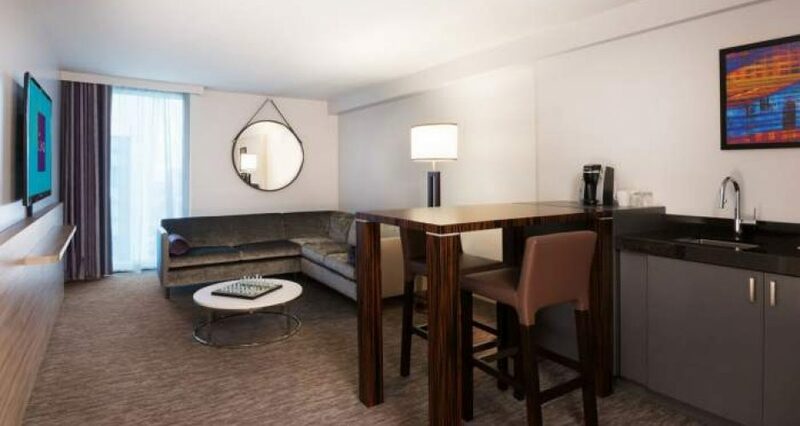 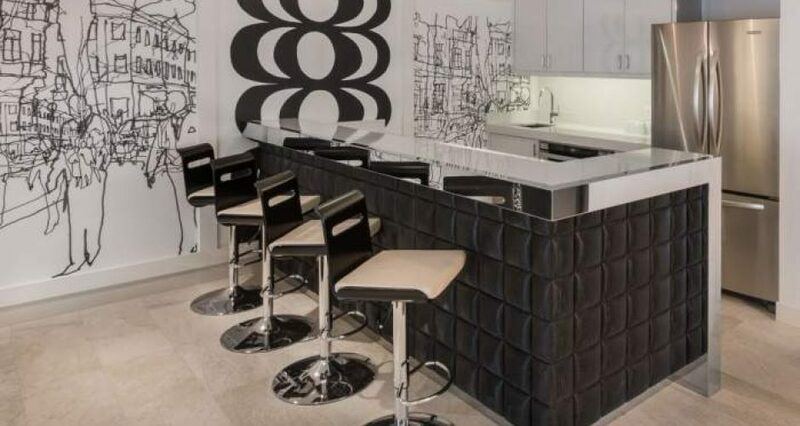 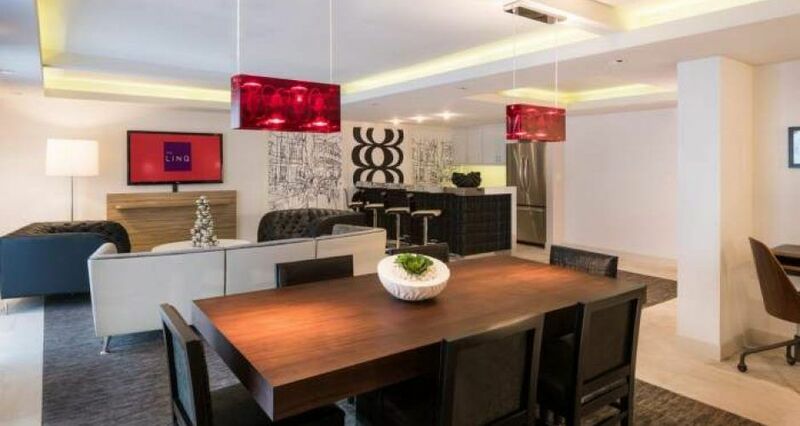 Crank up the Bose speakers, play Jenga and glow-in-the-dark chess while you use the kitchenette’s spacious fridge and classy, padded leather bar to pre-game before going out. 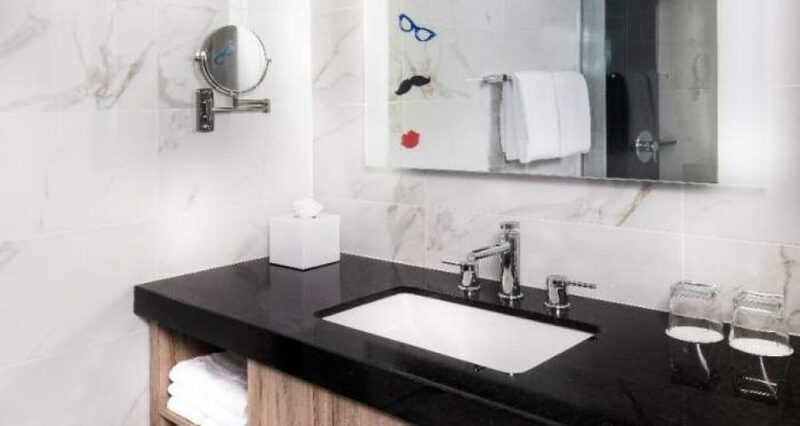 The bathroom boasts a seated vanity and walk-in rain shower. 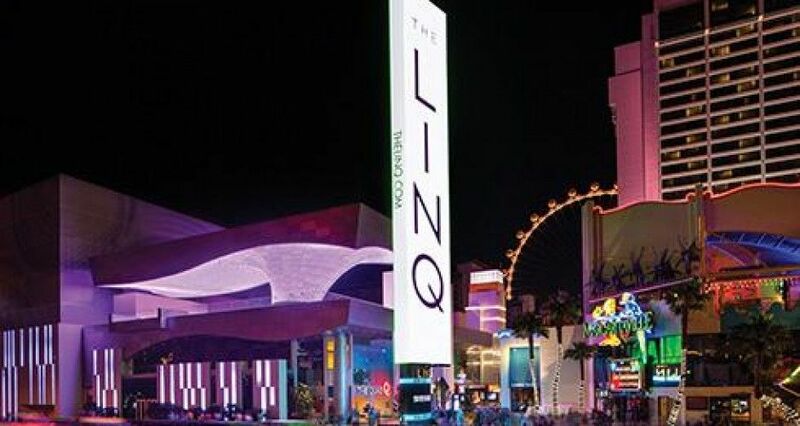 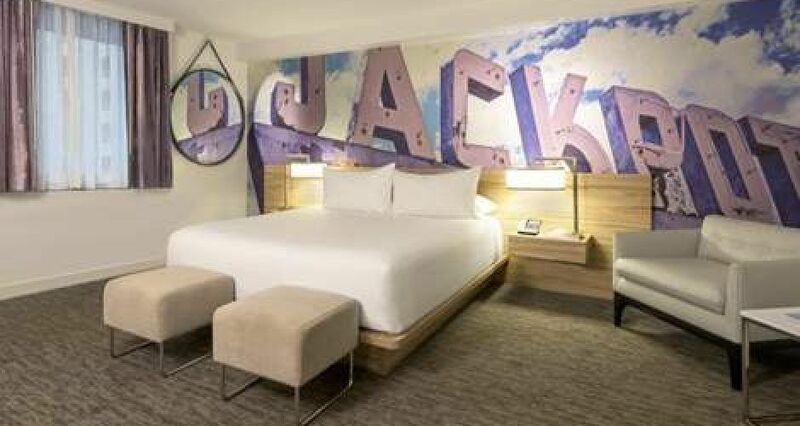 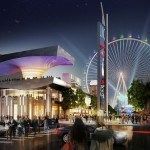 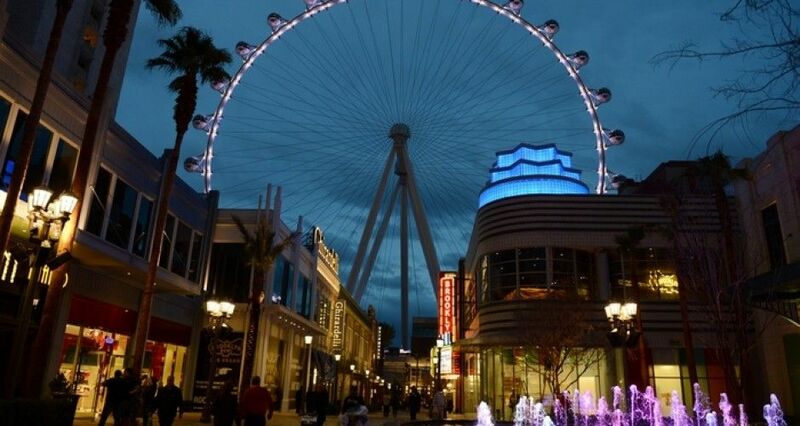 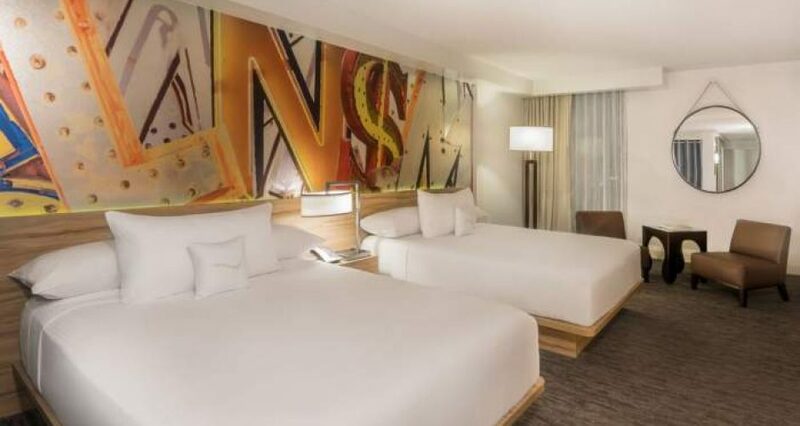 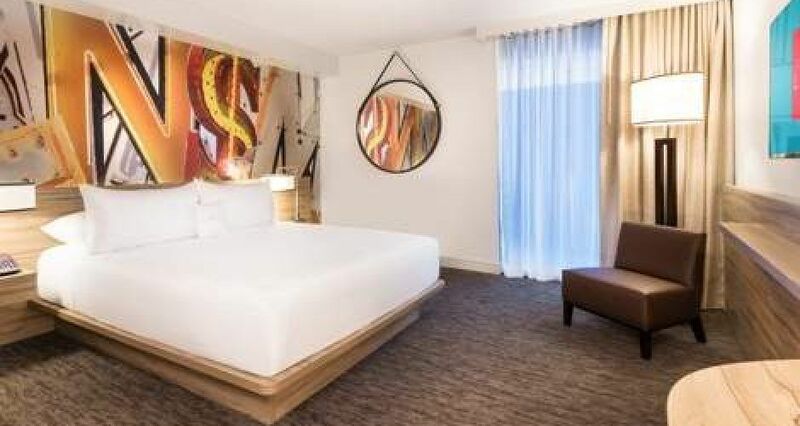 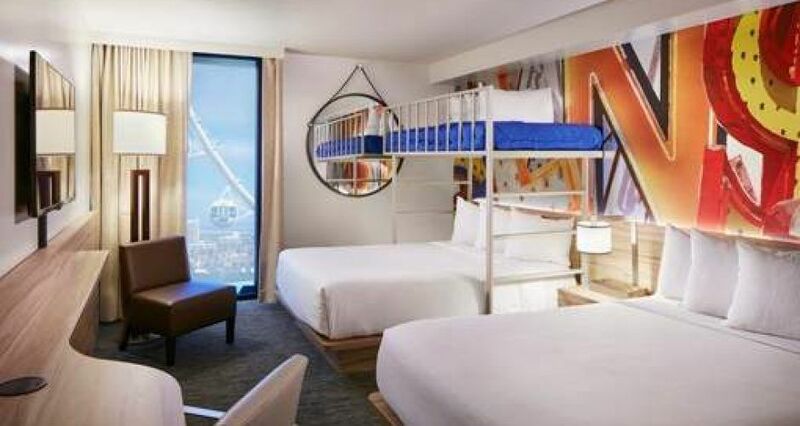 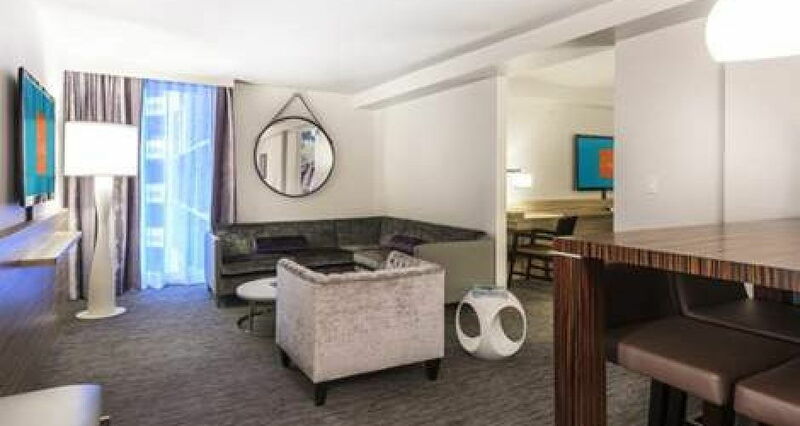 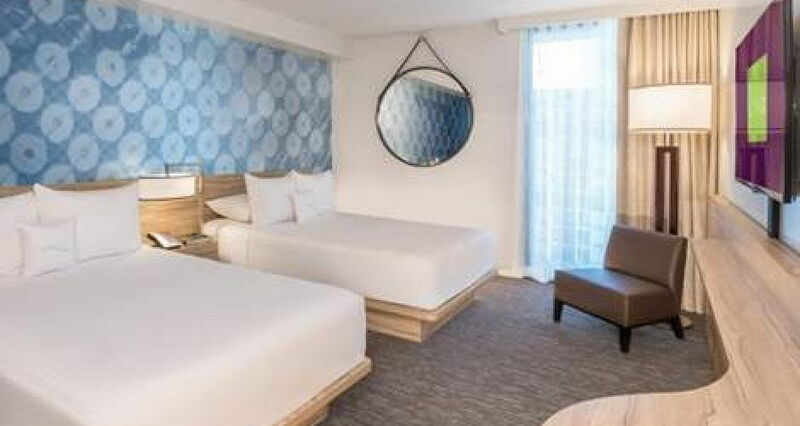 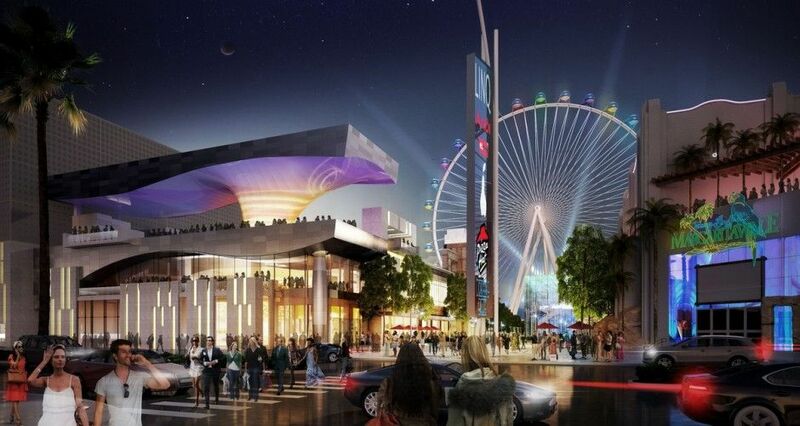 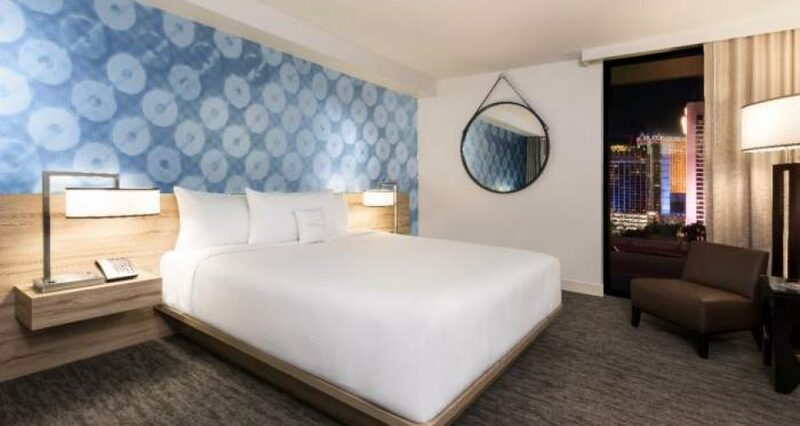 At the Linq, Resort Fees are ﻿﻿charged ﻿﻿$35+tax/night and are mandatory. 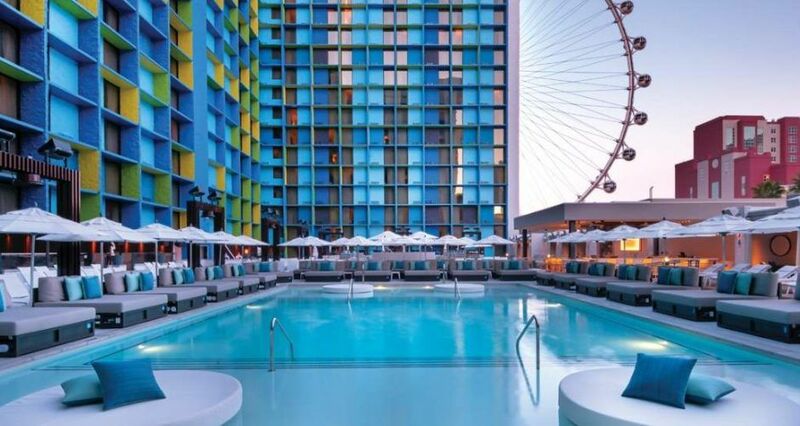 The 21-and-over POOL at The LINQ is the perfect destination for your vacation getaway with amazing view of The LINQ Promenade and High Roller. 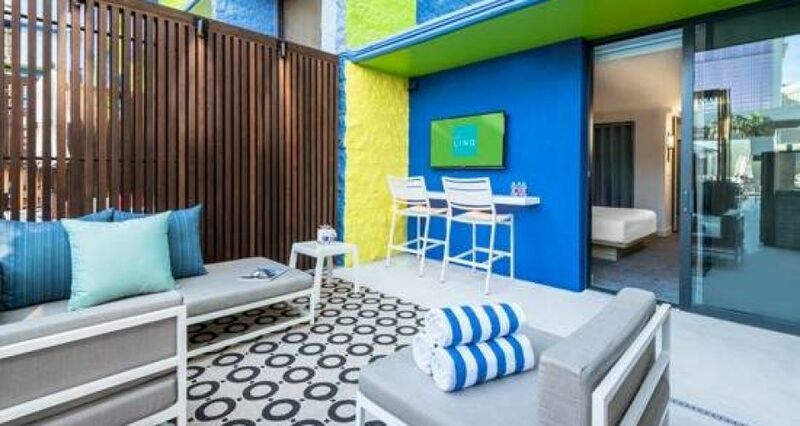 They offer 35 pool side daybeds and 10 grand cabanas all available for daily rental. 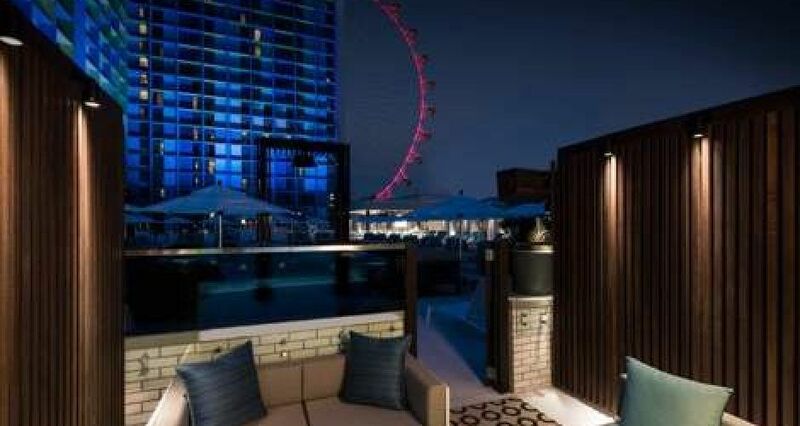 The pool is divided by a DJ Booth which is located in the heart of the action. 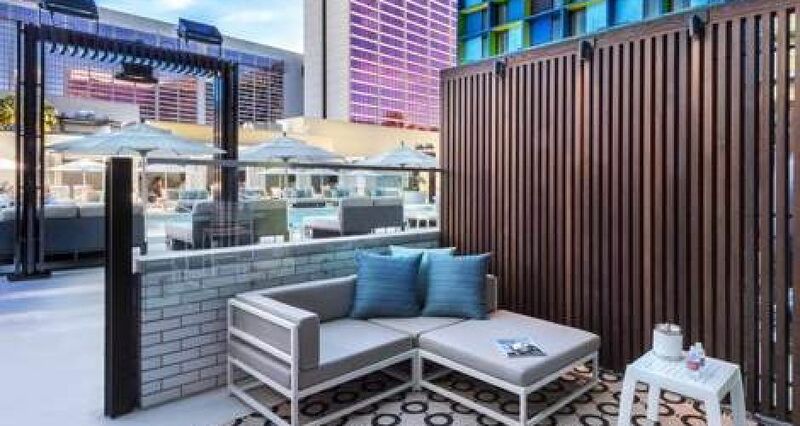 Behind the DJ booth is an above ground pool with two see through windows on each end which makes for the perfect photo opportunity.